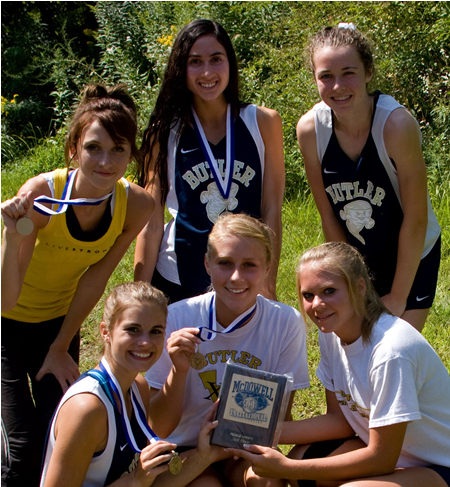 The Butler girls cross country team placed second at the 43-team McDowell Cross Country Invitational . 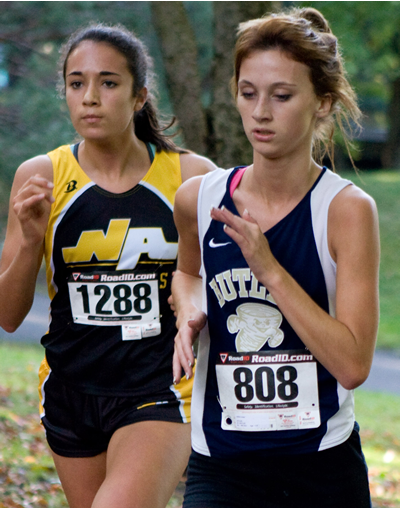 Senior Michaela Brydon placed 10th overall with a time of 20 minutes, 35 seconds to lead the Golden Tornado. 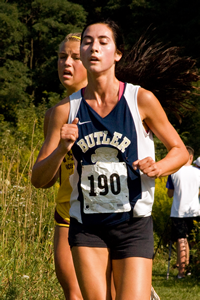 Junior Erin Lemay was 21st and senior Lucy Lewis was 24th to medal for Butler. 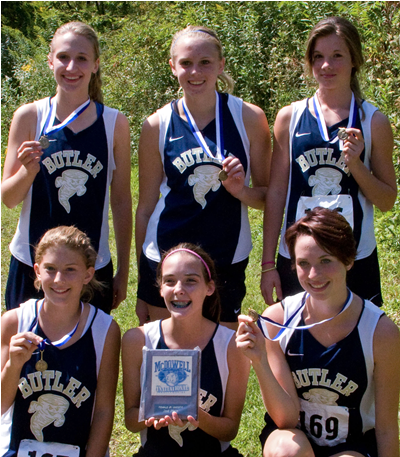 The Butler junior varsity girls team placed fourth out of 15 teams. 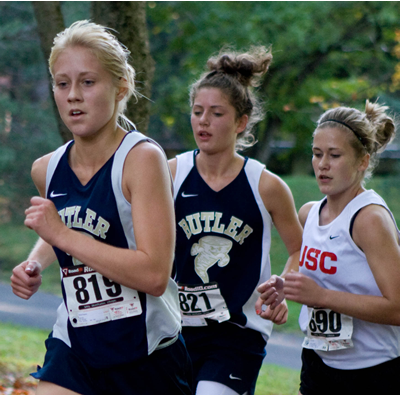 Tonya Klotz was the top finisher for the Tornado, placing 18th. 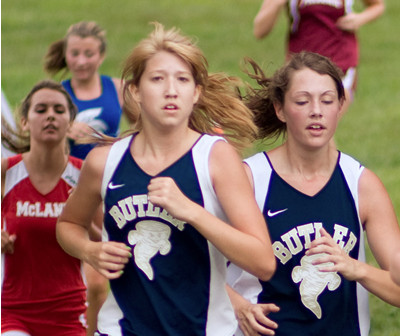 The Butler girls earned a sweep, winning 25-30 over Mars and 20-43 over Shaler. Maggie Welty finished second for the Golden Tornado with a time of 20:06. 1-Schwartz (S) 18:20, 2-Maggie Welty (B) 20:06, 3-Kelsee Callihan (B) 21:02, 4-Sydney Cole (M) 21:09, 5-Erin LeMay (B) 21:14, 6-Shannon McChesney (M) 21:34, 7-Natalie Petrini (M) 21:54, 8-Emma Gentile (M) 21:58, 9-Belle Losch (B) 22:01, 10-Lindsey Brand (M) 22:06. 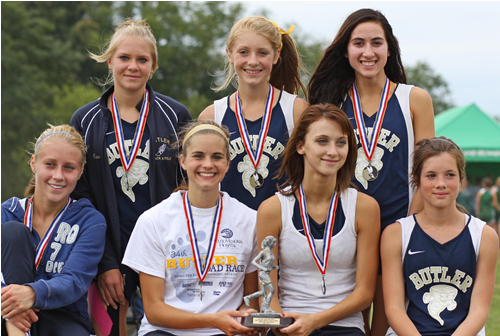 Led by Danica Snyder and Ashton Dolan, who placed second and seventh, respectively, the Butler girls cross country team placed second out of 11 teams at the Slippery Rock Invitational 5K in the Class AAA. 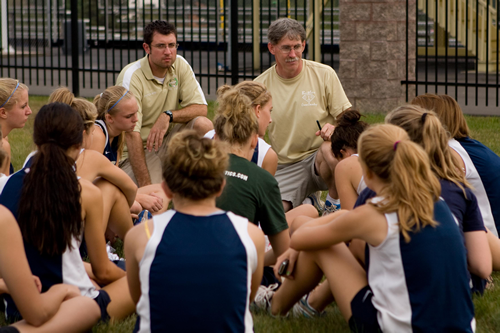 Snyder was clocked at 20 minutes, 9 seconds while Dolan followed with a 20:36.